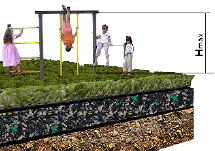 Gecko’s Synthetic Grass Soft-fall Playground System™ provides a safe and durable surface which dramatically reduces the chance of injuries whilst providing a lush and attractive play area for children. Many playgrounds utilise tan bark wood chips underneath playground equipment but unless tan bark is rigorously maintained 24 hours a day it will frequently become displaced creating a play area that does not comply with the stringent requirements of the legislation. No such issues are found with Gecko’s Synthetic Grass Soft-fall Playground System™ – in fact our Soft-fall Playground System™ requires very little maintenance and substantially less than other soft-fall alternatives. In terms of overall investment, Gecko’s Soft-fall Playground System™ outperforms tan bark wood chips in terms of aesthetic appeal, time and dollars. 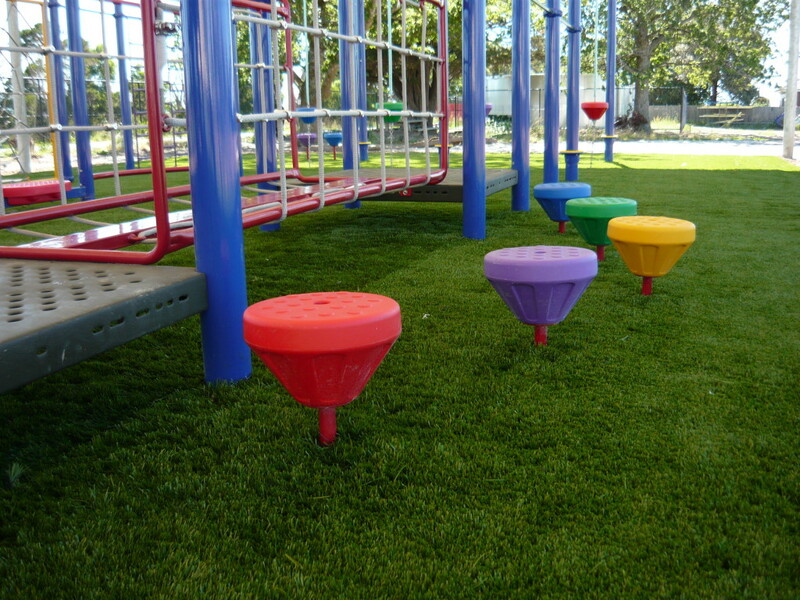 Suitable for Schools, Shire Councils and Early Learning Centres, the Gecko Synthetic Grass Soft-fall Playground System™ provides a bright, attractive and fun play area that meets all the Critical Fall Height requirements of the Australian Standard. Studies indicate that many playgrounds throughout Australia DON’T comply with the Australian Standard AS/NZS4422:1996. Effectively, this leaves the responsible bodies open to litigation in the event of injury or death resulting from children falling from equipment. 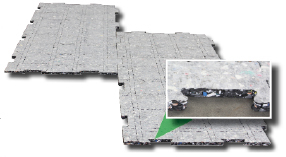 Be sure that you don’t leave your door open to this type of costly and avoidable legal claims – install a Gecko Soft-fall Playground System™ at your facility. 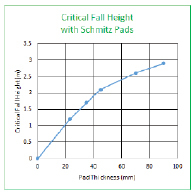 The amount of cushioning required varies according to the maximum possible fall height. 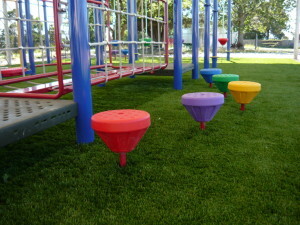 The ‘3 tier’ system utilises ‘shock pad’ technology in conjunction with a crushed rock base and premium synthetic grass to create a adequate level of cushioning relevant to the height of the playground equipment in place. Our qualified consultants are available to inspect the project area to provide recommendations, advice and a comprehensive quote.